Toward the end of October 2018. Opening of the online registration system. 05:00 PM JST 15 November (Thu) 2018. Deadline for registration and payment for participation fees for applicants who will give a presentation. 05:00 PM JST 10 January (Thu) 2019. Deadline for submitting abstract, and for registration and payment for participation fees for applicants who will not give a presentation. To participate the Meeting is available. Registration at the on-site registration desk in the Meeting venue is available. Registration fee is free. Registration at the on-site registration desk in the Meeting venue is available. Registration for participation/presentation and payment of registration fees are required for student who makes presentation or is not undergraduate. Registration for the 130th Annual JFS Meeting and/or the banquet can be done at the JFS website. The website will open at the end of October 2019. Applications through Fax or E-mail are not accepted. The online registration website open in the end of October. Only online registrations are accepted. The registration and the payment of the registration fees should be completed until 05:00 PM JST 15 November, 2018. 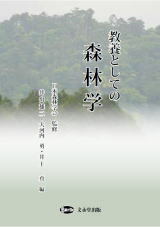 The JFS Student Poster Award is presented to the JFS student members who made an excellent poster presentation in the Annual Meeting of the Japan Forestry Society. The poster presentation whose first author is the JFS student member and which has been applied for the JFS Student Poster Award at the time of application is qualified to be selected for the Award. We hope that the JFS student members will actively apply for this Award. We also ask supervisors to encourage the JFS student members to apply for this Award. Applicants who have applied for research presentation are requested to submit their abstract manuscripts online via the JFS website by 05:00 PM JST 10 January, 2019. Online abstract submission becomes available after the JFS secretariat confirms the payment of the application fees. The process of bank transfer of Japan Post Bank takes about 7-10 days. Individuals who are planning to apply for the membership cannot submit abstract manuscripts before the application process completes. Only LCD projector will be used. Microsoft PowerPoint 2013 will be installed in the PCs. When you create your Power Point presentation, use the appropriate versions of Power Point (2013 or earlier versions). Speakers are advised to test their slides in advance. OHP is not available. The poster size should be A0 size (1,188mm high × 841mm wide). Poster title and author's name should be written on the poster. Free nursery will be provided during the Meeting. Participants who wish to apply for the nursery are requested to contact the Secretariat (jfs130@agr.niigata-u.ac.jp ) via e-mail by January 10, 2019 with the following information. Details will be notified to the applicants through e-mail at a later date. Free nursery will be provided at the Banquet. Participants who wish to apply for the nursery are requested to contact the Secretariat ( ) via e-mail by February 28, 2019.